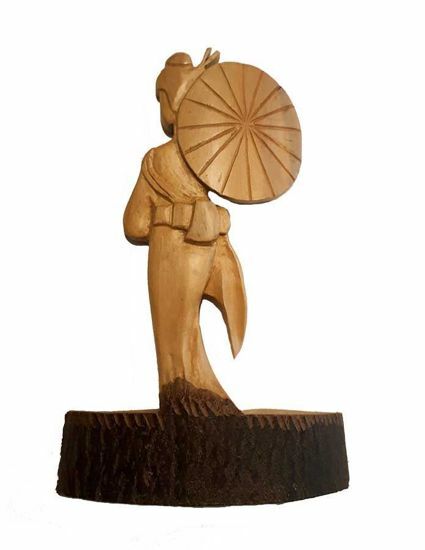 Wood Carving Art - "Geisha". 3D Wall Art for your Living Room as a Rustic Home Decor. An Original Artwork for You. The Geisha is carved from Basswood. There is no dye and stain involved. You see the natural colors of wood. Wood has been finished with Linseed oil.